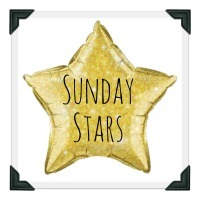 Hello and welcome to the Sunday Stars linky for this week (12th July). Please note the new changes to the rules starting from this week onwards!! This is a brilliant place to share your favourite posts each week. It is run by a group of us, taking it in turns each week to co-host and this week it is myself and Jess. Jess and I are both really looking forward to reading your star posts! Thank you to everyone who joined in last week with our lovely hosts Heledd and Amy. Their favourite posts were the hilarious “Five and a Half Things The Baby has Learnt From the Toddler” from R is for Hoppit and “A Mummy Body is a Beautiful Thing” by Mama’s Vida Loca which is an empowering post about how mums need to champion their ‘warrior bodies’. • To make sure everyone gets a little love please comment on the post linked before yours as well as at least one other. So pleased you have joined us for #SundayStars – thank you!